The rise of coffee culture is exciting for some coffee enthusiasts. However, it can be overwhelming for some to navigate the menus of specialty coffee shops. Honestly, some shops may as well write them in Greek. You may wonder what drink is a safe bet if you’re just arriving on this coffee scene. Or perhaps you simply want to know more about the Americano than the catchy tune it’s associated with. That’s why we’re here. Read on for the full breakdown on where the Americano came from, what’s in it, what it tastes like, and its variants. The story goes that during World War II, American soldiers stationed in Italy weren’t exactly fond of the startlingly strong espresso that Italians tended to drink. Thus, in an effort to replicate their drip coffee back home, soldiers added water to the iconic Italian espresso shot. And so the Americano was born. With an origin story that simple, it seems like there shouldn’t be much debate or variation for this drink. Right? Wrong. But first, we’ll tell you the basics of this drink that most people can agree on. So, as you’ve likely figured out, an Americano consists of just water and espresso. The ratio of these ingredients is typically either 1/2 and 1/2 or 1/3 espresso (1-2 shots) and 2/3 water. Generally, chain shops will have more water than espresso because, unsurprisingly, many American’s still find espresso hard to palate. Hence the popularity of the latte. The Americano tends to stand out among the espresso-based line-up because it has absolutely no milk in it. While some people do add milk, you will likely never receive an Americano with any form of dairy or dairy-alternative in it unless you specifically ask the barista to add it. Here is where things start to get a little hairy in the coffee community. Since there are only two ingredients in the Americano, the only potential variable is which order should they be put into the cup. While there are adamant spokespeople for both the espresso-water and water-espresso sides of this case, the vote generally favors the espresso-first, water-second formulation. That’s because while the ordering may seem arbitrary, it does actually affect one key factor: the crema. To Crema or Not to Crema? For those of you who aren’t familiar with intricacies of espresso, crema is a thin, tan layer of foam that forms on top of a shot of espresso. While some people think it has relatively little to do with the resulting flavor of the drink, there are also people who think it does have an impact (whether that’s a good or bad one is an entirely different debate). Regardless, the crema is a result of the mixing of oils and carbon dioxide that naturally occurs during the shot pulling process. If the barista adds water to the drink after pulling the shot, the crema mixes into the drink. This is generally the preferred result, as it mellows the flavor of the drink, making it even more similar to a traditional, “American” cup-of-joe. What about a Long Black? So, there is another drink that is strikingly similar to the Americano: the Long Black. The formation of this drink contributes to the espresso-water argument for Americanos. The Long Black is popular in New Zealand and Australia. It’s typically stronger and bolder in flavor than an Americano. In this case, less water dilutes the espresso and, you guessed it, the crema. Long Blacks are made by pulling a shot or two of espresso over water. This maintains the fullness of flavor and the distinct aromatics of the crema. Can it Be Home Brew? The great thing about an Americano is that its flavor profile lends itself to manual brewing methods. 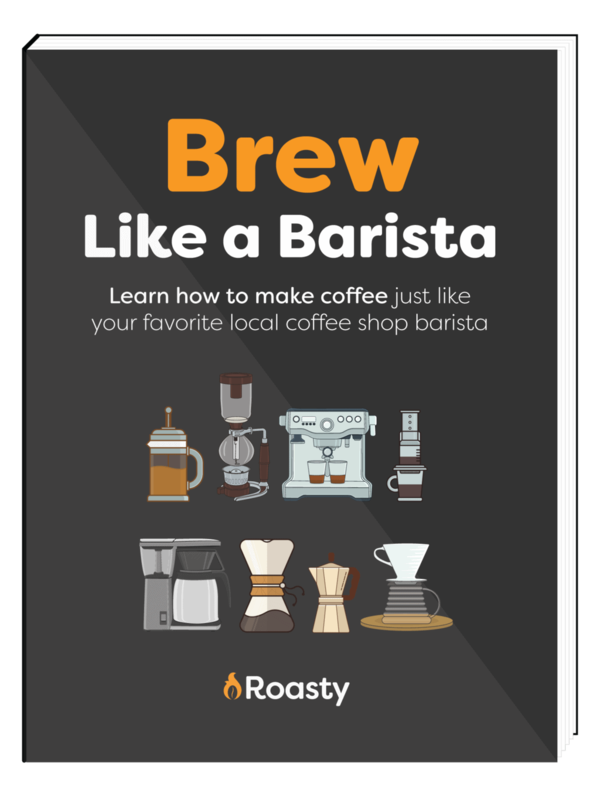 While not every at-home barista can afford a coveted semi-automatic espresso machine, most people can spring for an Aeropress, French Press, or Moka Pot. While these methods of espresso making aren’t ideal for straight shots, they’re perfect for drinks that are deliberately diluted. And while the espresso flavor might be lost in a milk-based latte or macchiato, it’s relatively simple to hit a nice balance with the water-based Americano in just a couple tries. If you’re looking for a way to class-up your typical morning-drip but aren’t interested in a bunch of milk and sugar, an Americano is a great drink to add to your go-to’s. You can order it at a coffee shop or brew it from home. Either way, this is a simple, classic drink that’s not going to let you down. Stumped as to what Keurig model to purchase when selecting your next countertop coffee accessory? Join us for a quick look into the similarities and differences between the K525 and K575 at-home coffee brewing models and cure your Keurig blues. A brief, but entertaining VIDEO on how to measure coffee perfectly every time. Find out the perfect coffee brewing ratio.